Everyone wants to have a flat yard, but is it possible? With today’s subdivisions being more “creative” in their developments, it can be hard to find a flat lot. We can help make your sloped yard into a more manageable space that is pleasing to the eye as well as functional. Retaining walls serve as an important structural aspect of many landscape designs while also being a decorative feature. Retaining walls act as a 3D element to any landscape design and can be used as features in a design like benches and waterfalls. 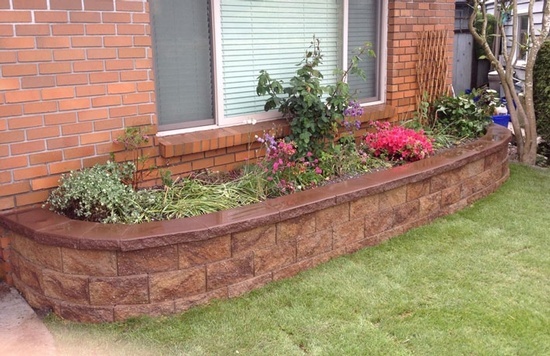 We are experienced working with a variety of retaining wall materials.